Today’s bike club ride was a visit to the Whittier Greenway Trail. 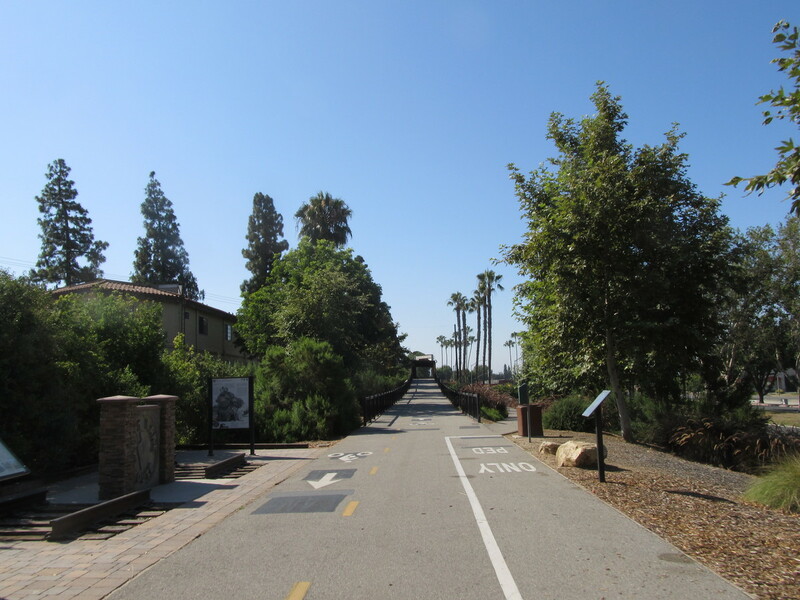 This is the former railroad through Whittier that has been converted to a bike and pedestrian trail. We’ve been there before, but it’s a nice place to visit. 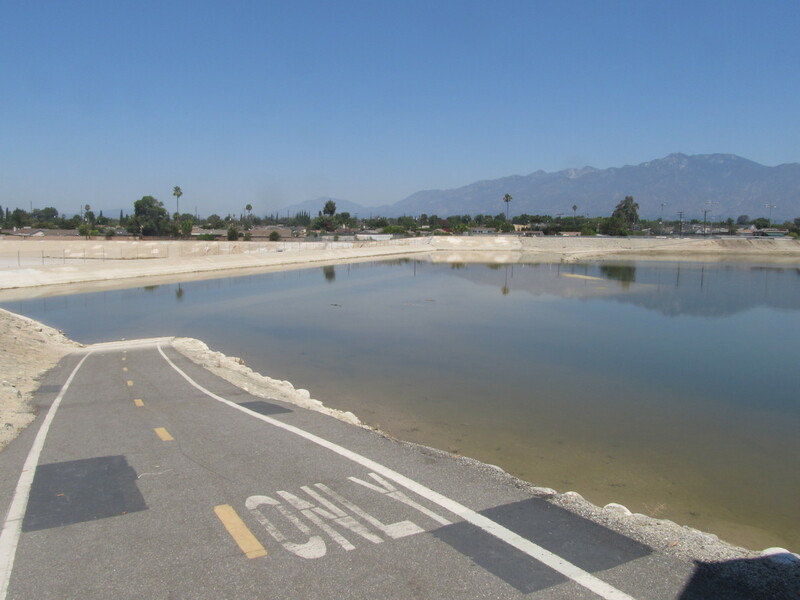 We took the direct route south to get to Whittier Narrows to pick up the San Gabriel River bike path. Then we made our way around to Workman Mill Road. 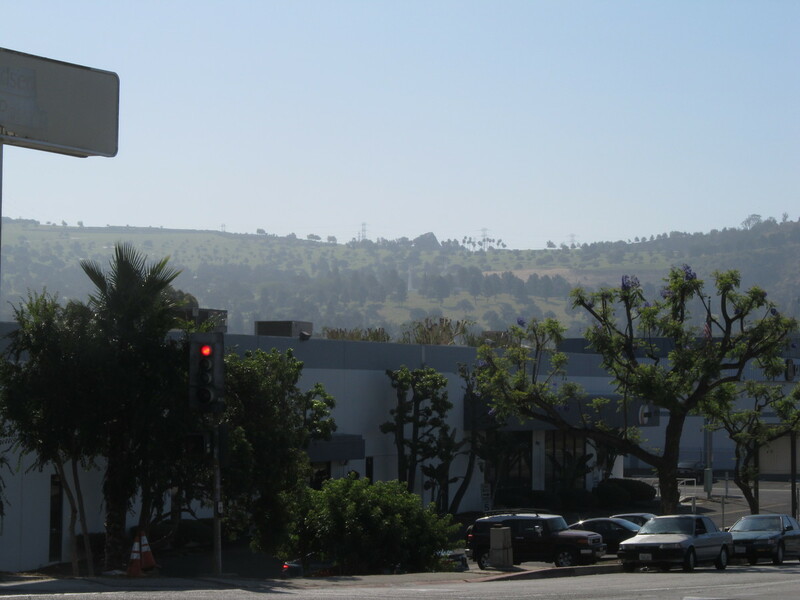 Along the way, we got a nice view of Rose Hills “That ain’t no hard hill to climb” Cemetery. 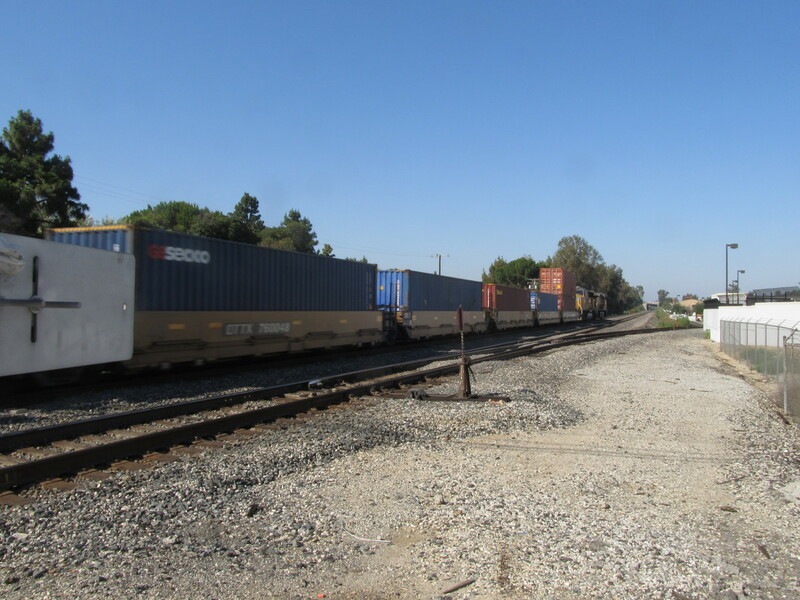 And we even got to see a fast-moving freight train go by at the crossing there. We got on the Greenway Trail and rode most, but not all of it this time. 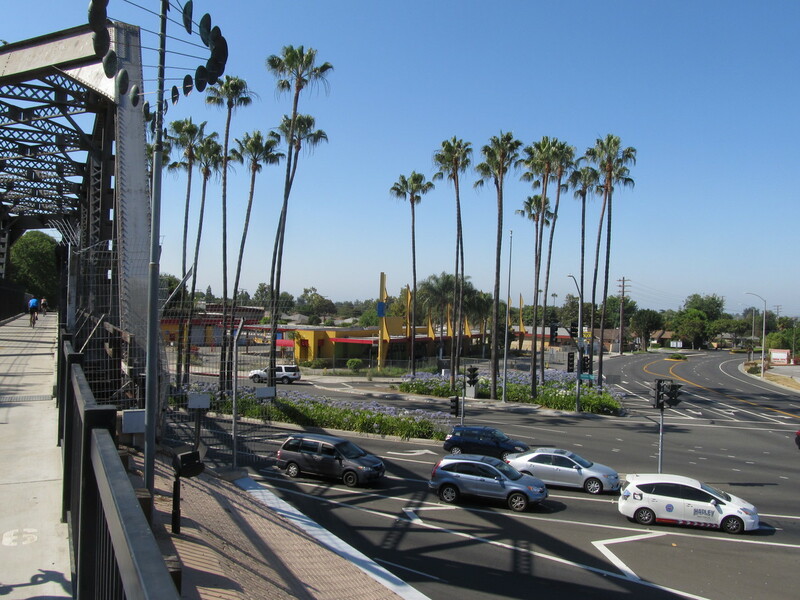 On the bridge that takes us over the big five-way intersection, we got a nice view of a classic Googie-tyle car wash. We took it as far as Greenleaf Ave, where we turned off to go to Mimo’s Cafe for snacks. After that, we got back on the Greenway Trail for a bit, after passing by the antique street lights with the swastikas on them. Then we picked up the San Gabriel River bike trail for the ride back up to Whittier Narrows. At the top end of the Rio Hondo trail, our usual route was blocked because the basin was flooded. That was odd. There’s usually water there, but normally, it doesn’t rise up high enough to drown the bike trail unless it’s just rained. So I don’t know what happened there. By the end, it was getting pretty hot, so the last few miles were a bit of a trial. Fortunately, we had a route home through Arcadia that had a lot of trees for shade. So it was still a nice ride.